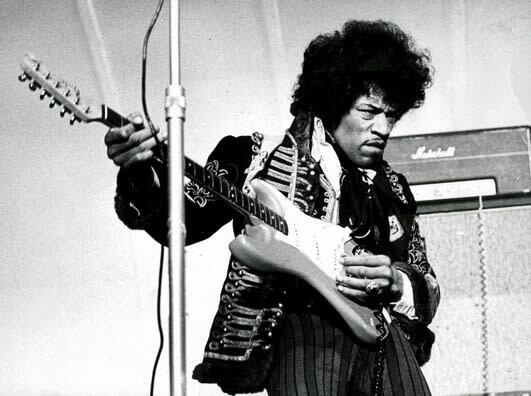 You may have heard of Jimi Hendrix — he's only one of the greatest guitarists in history. Anyone who has been the headliner at Woodstock sure has some style cards in his deck. His most iconic look was wearing a vintage band jacket — not only to perform, but in his day-to-day life. Take a close look at Jimi's style, you'll see that he has influenced one of our favorite rappers greatly.